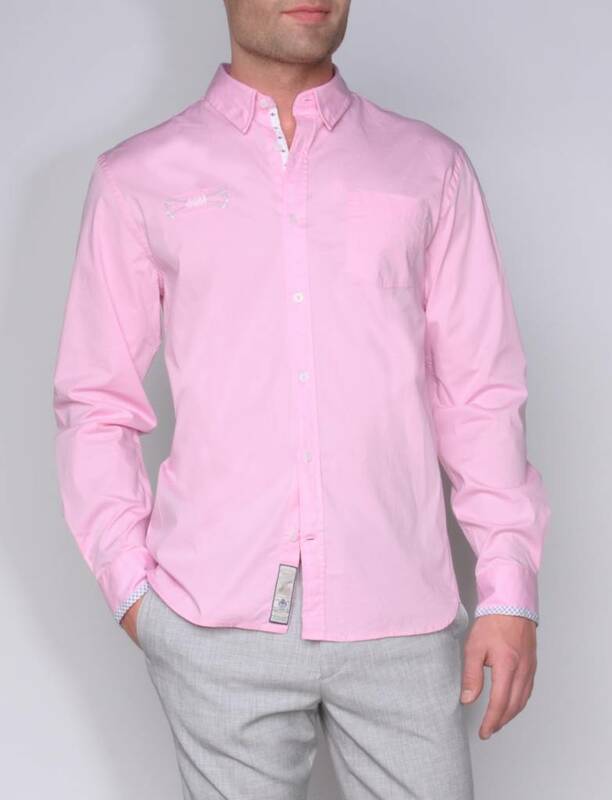 Shirt in pink with ' blind ' button down/breast pocket. 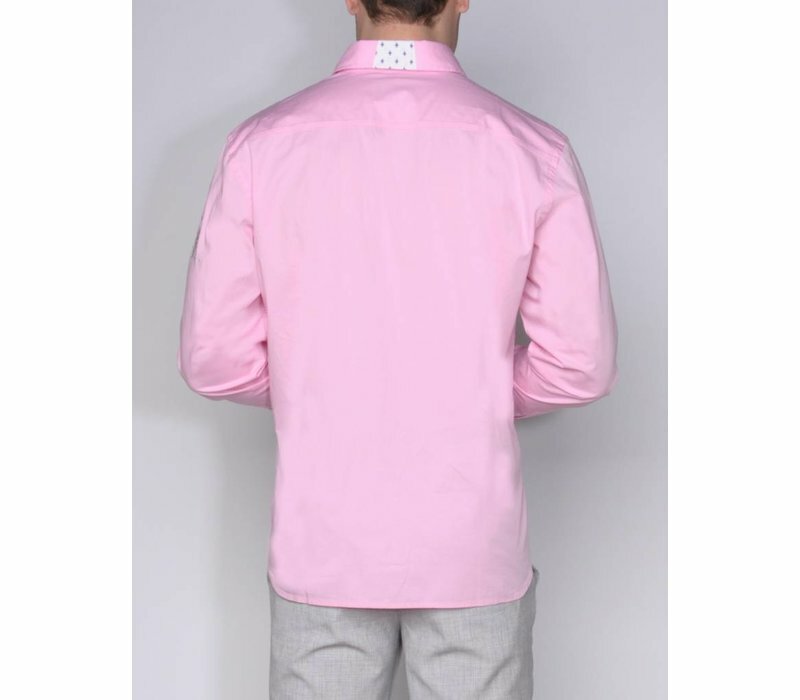 Closure, inside collar and cuff, contrast fabrics in navy/white. 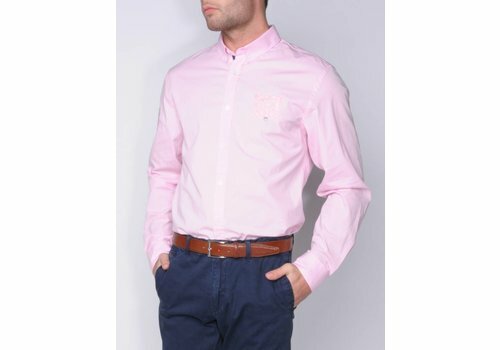 On the cuff a navy contrast button. 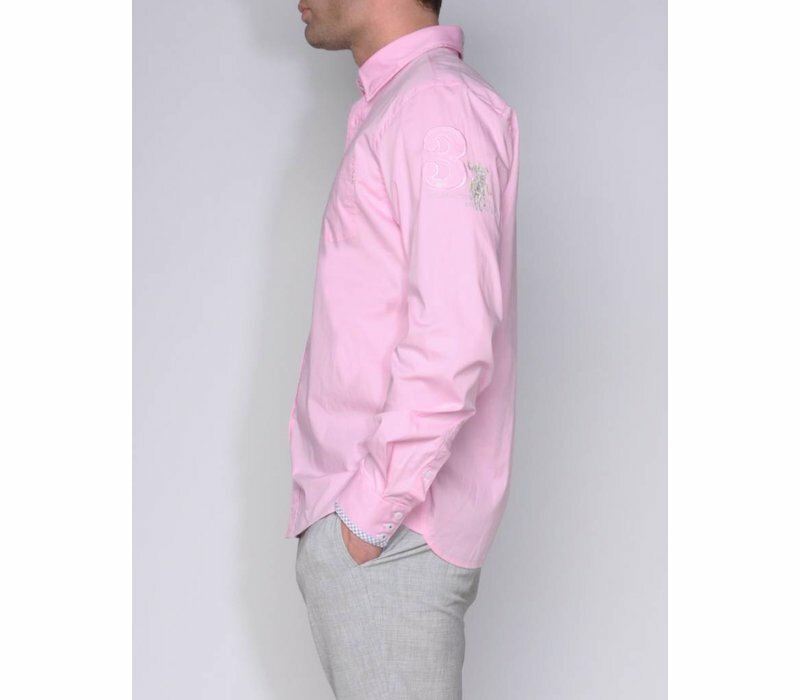 On sleeve, front piece and pocket sophisticated Polo related 'embroideries in navy and sand. 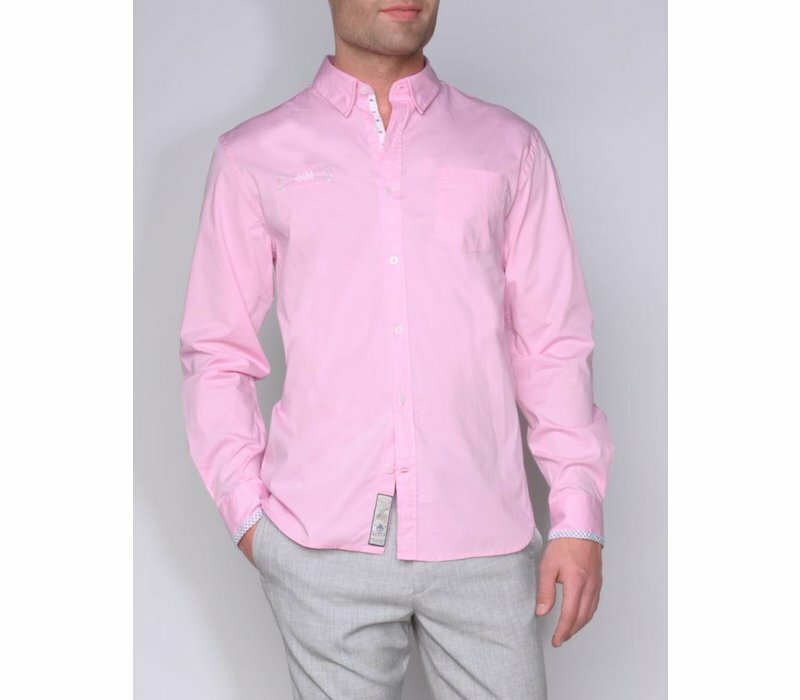 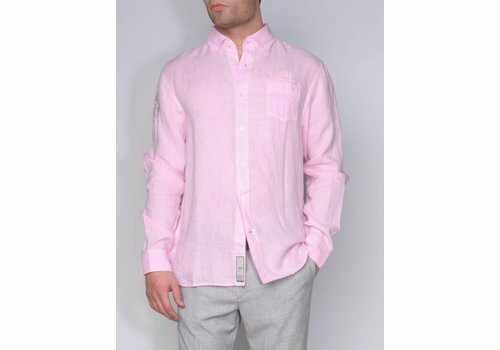 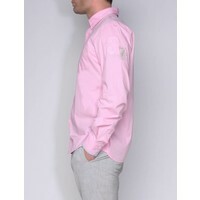 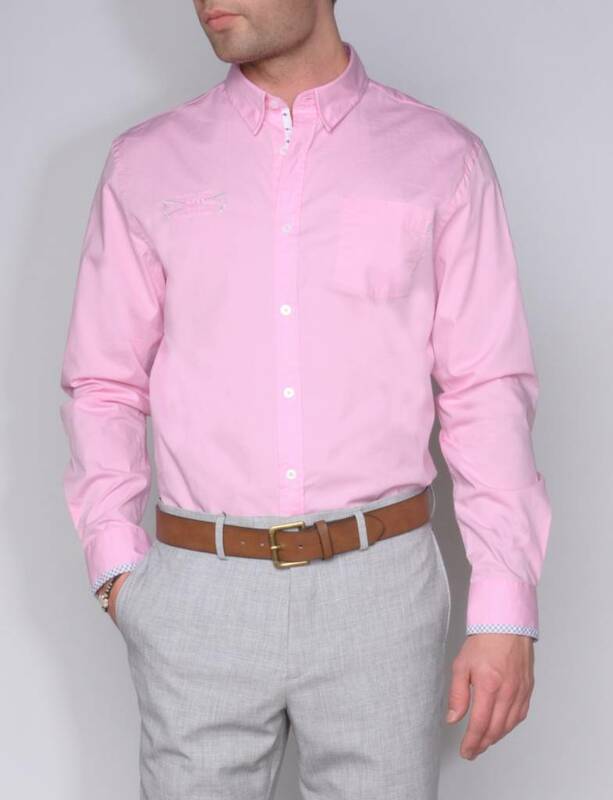 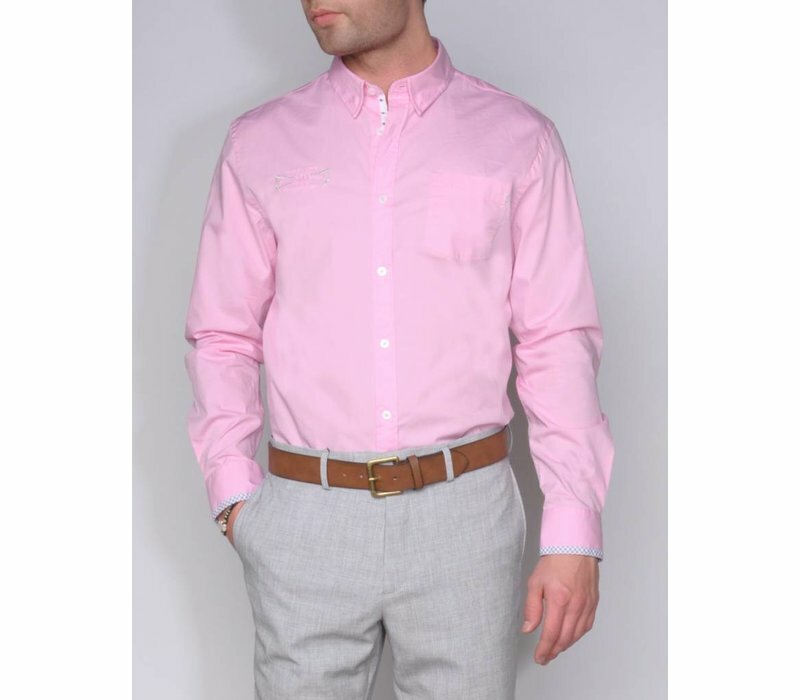 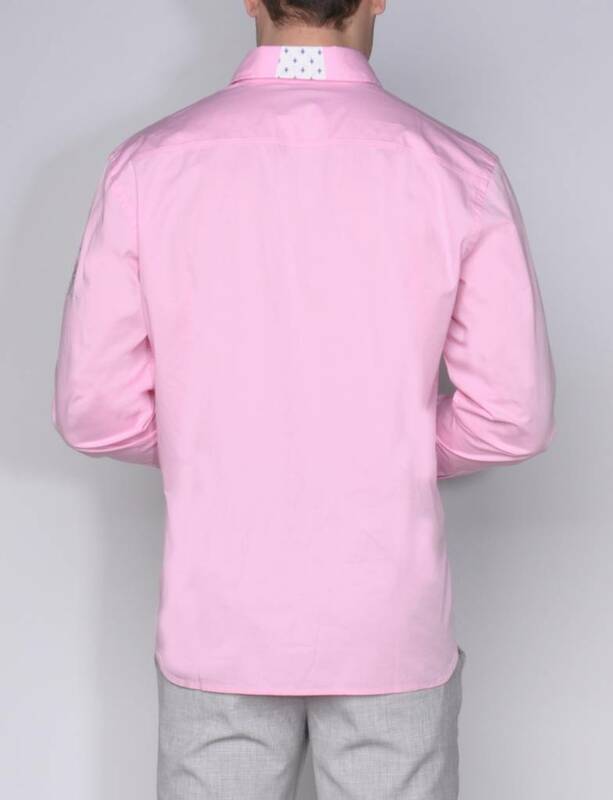 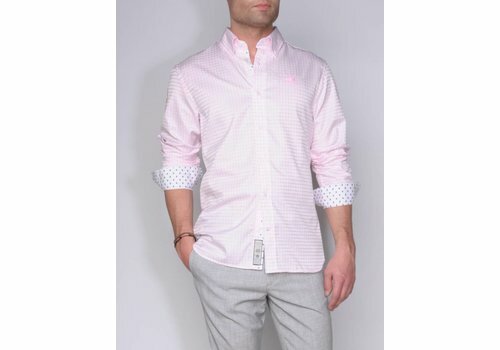 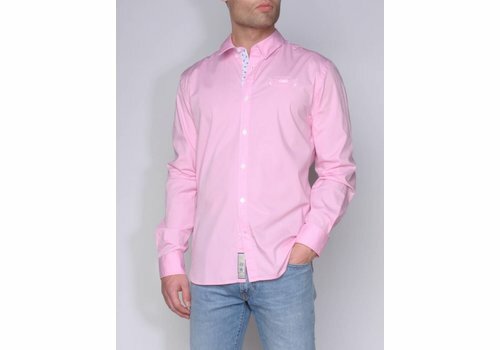 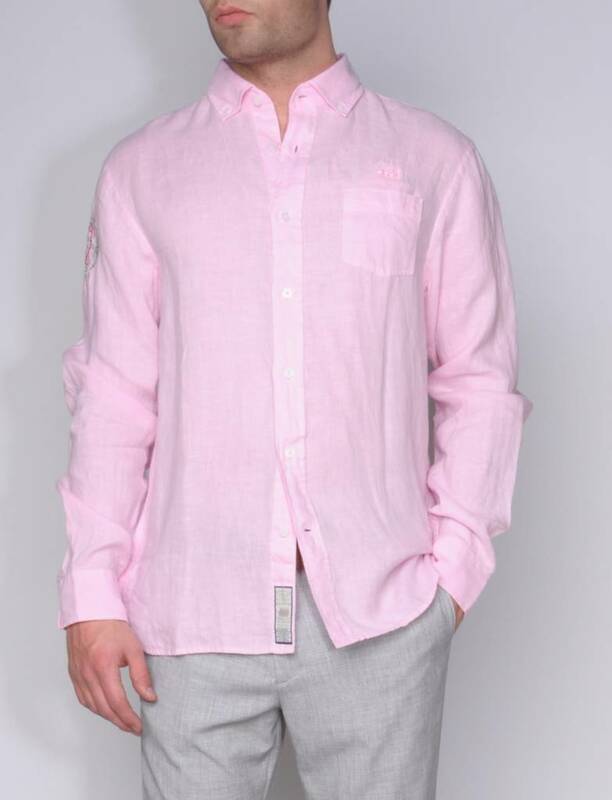 Great casual shirt in 100% garment dyed linen in pink with button down and chest pocket. 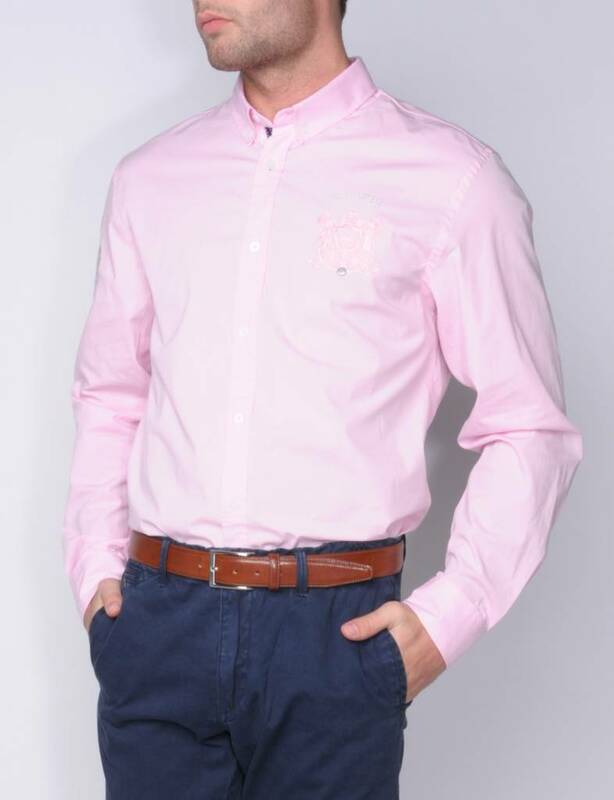 Navy details at buttons, cuff and side slits. 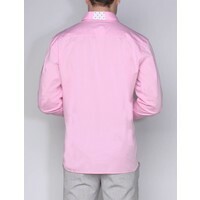 Ton-sur-ton logo embroidery on front and back and on the sleeve ' Polo related ' embroidery in contrasting colour. 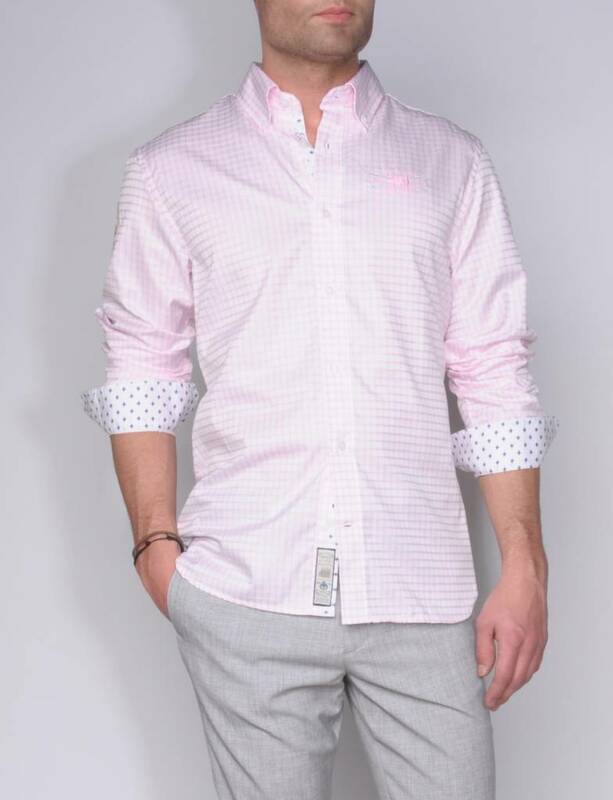 Checkered pink/white shirt with button down. Contrast fabrics on inside collar, cuffs and along closure. 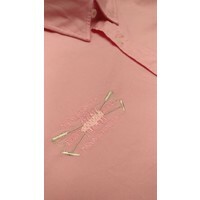 Logo embroidery on front, cross embroidery at closure.On the sleeve a Polo related weapon embroidery. 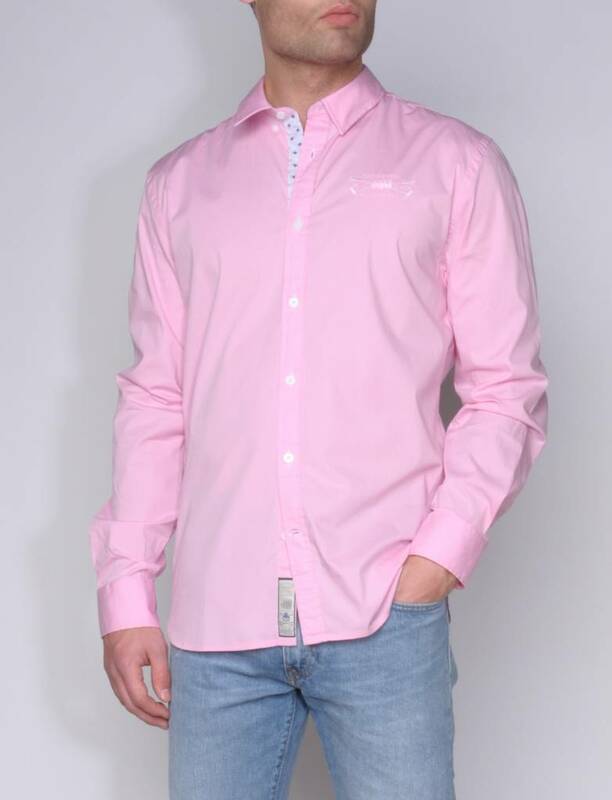 Pink shirt with ' blind ' button down. 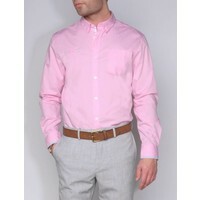 At the closure, inside collar, collar detail contrast fabric in light blue/white. 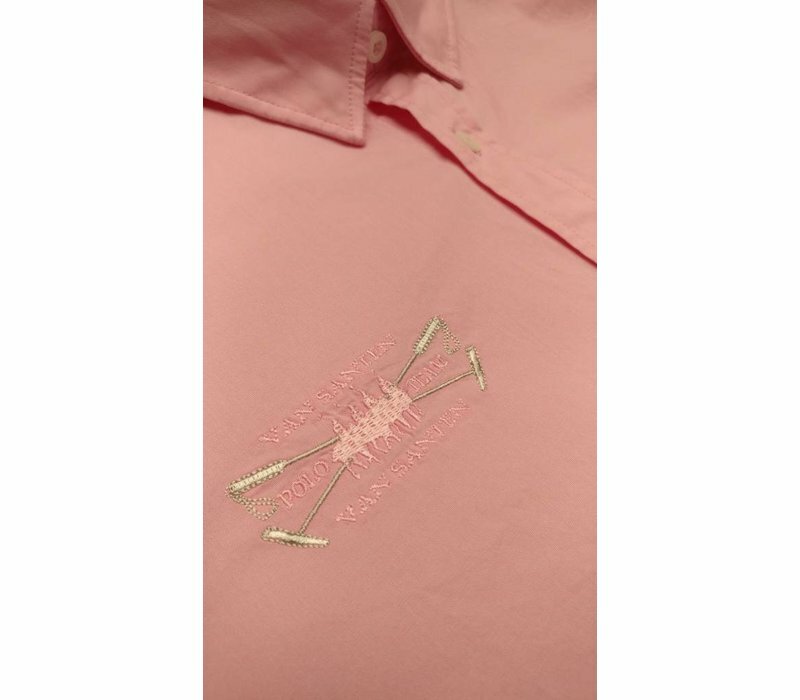 Trendy by contrast-buttonholes. 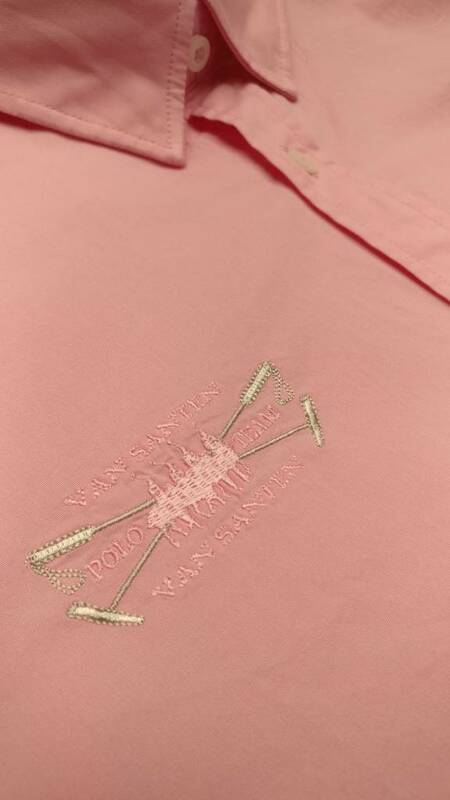 Small logo embroidery on front and ' Polo related ' artwork on the sleeve in subtle sand tones.